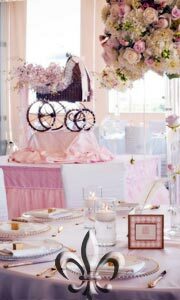 At Très Fabu Event Planning and Design, we believe that your event should be unique and spectacular! In order to achieve this, we ensure that each detail is handled with absolute professionalism. With our gifted team members managing all the coordination and details, you’ll be able to experience the joy of being a guest at your very own event, allowing you to enjoy every minute! There is something spiritual about entertaining…in what our eyes take in and recognize as beautiful, in what our sense of taste savors in fine foods and fine spirits, and in what we share with the people we love. With any special event, whether it’s a wedding or a private party, having a gourmet menu, combined with a warm ambience and elegant décor, is essential for success!